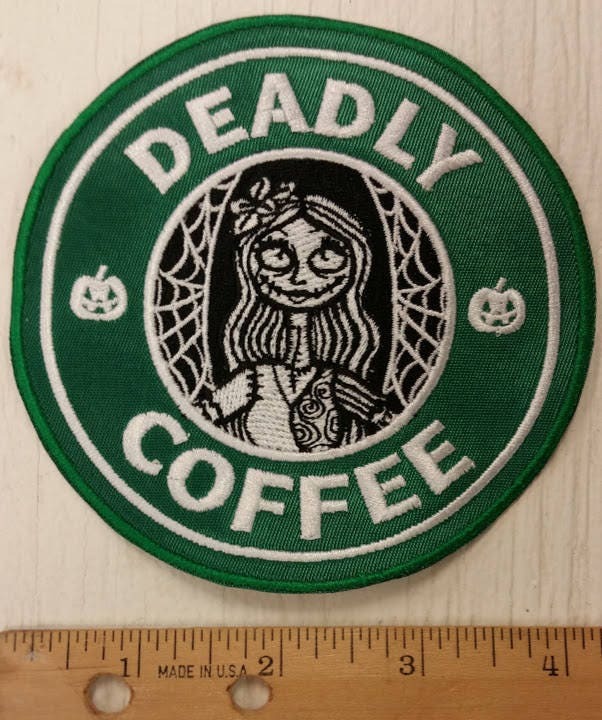 This Starbucks spoof patch combines that and Sally from Nightmare before Christmas. 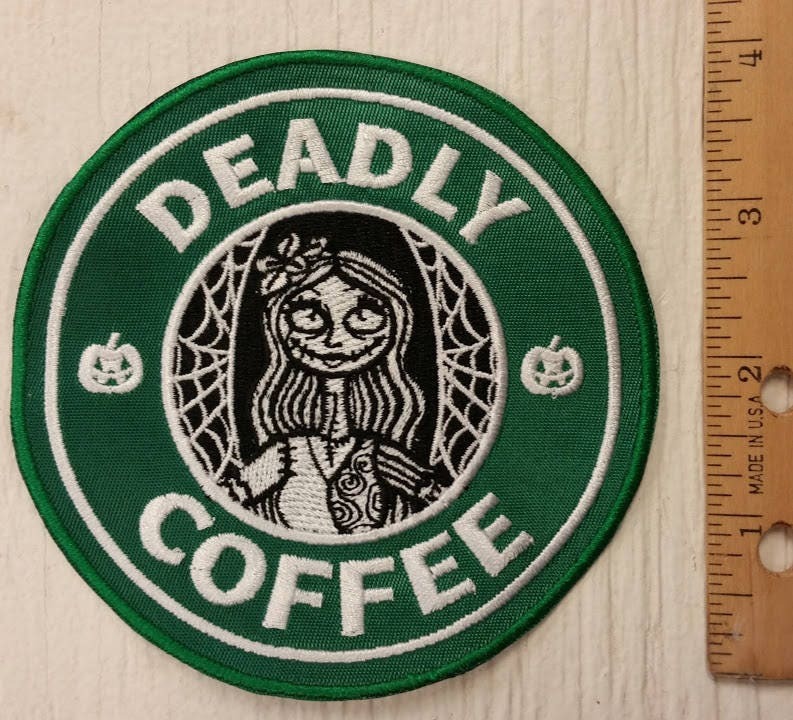 It measures approximately 4" in diameter and says Deadly Coffee around the inner border with two pumpkin heads separating the words. It has an iron on adhesive to give you the option of applying it that way or you can sew it down. 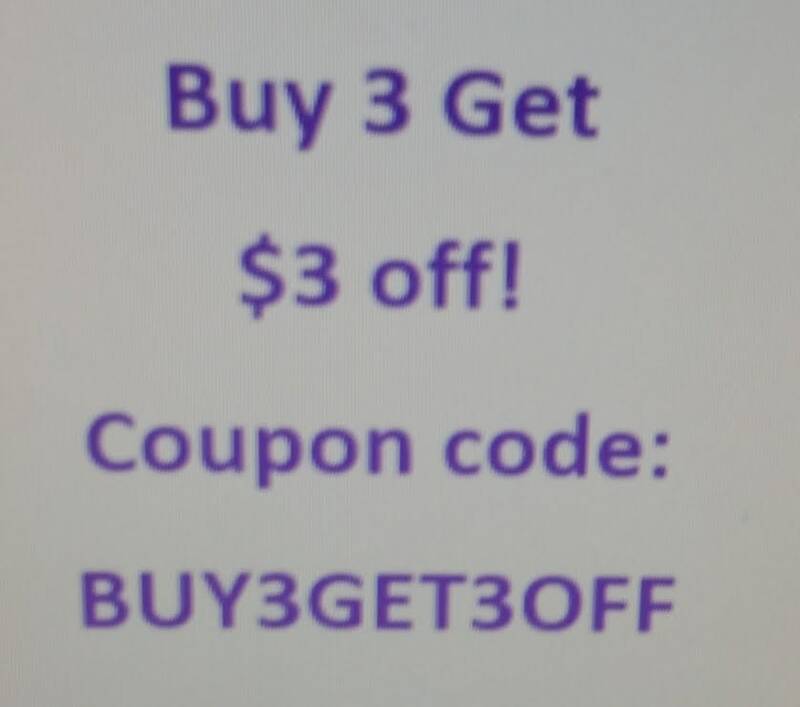 Combine with other patches to save on shipping. 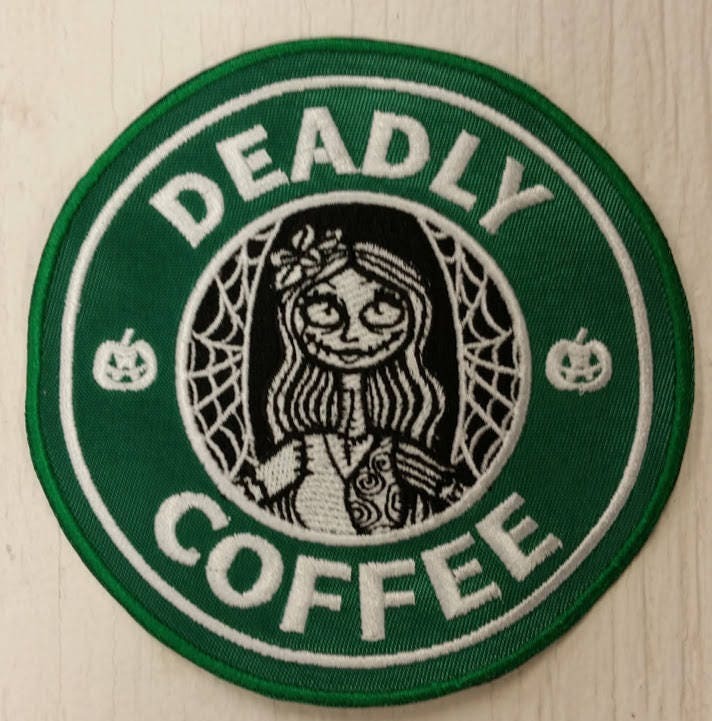 Great for Halloween, great communication from seller.